I have a Christmas cactus that blooms prolifically. Two years ago, after the bloom, the bulbous part of one of the flowers where it had attached to the branch never fell off. Instead it grew until it is about a half inch in diameter. Rose colored, it remains, is firm, and looks strange but not diseased. I now see that after the last bloom there is another of those bulb-like things but this one is green. What are they? 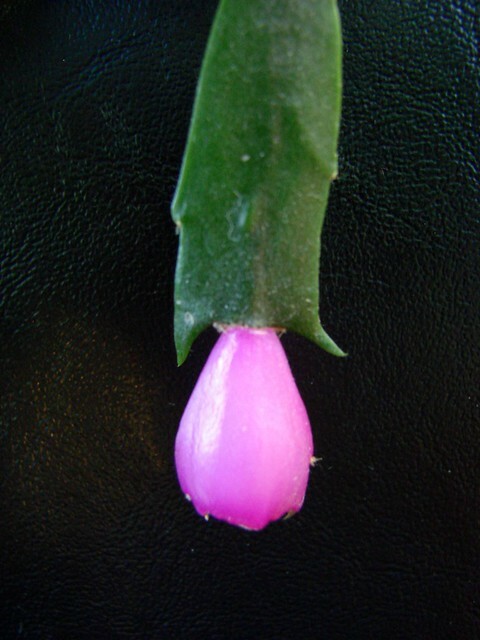 I think your Christmas Cactus is bearing fruit, rare but not unknown in a houseplant. The fruit is usually rose or green in color. Some species are self fertile, although most cross-pollinate with another plant. As you indicate that your plant blooms prolifically, I expect that yours is self-fertile. You could try planting the seeds, which will be inside the fruit, in the spring when the temperature is 66-70 degrees F.